Better for birds -- and for cats! 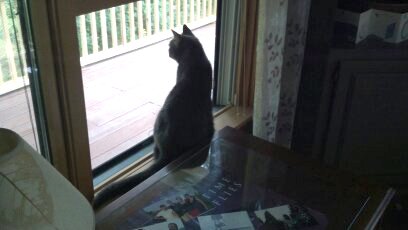 When they first leave the nest, young birds are especially vulnerable to cats. For some birds, it takes a few days before they can fly high enough to be out of harm's way. 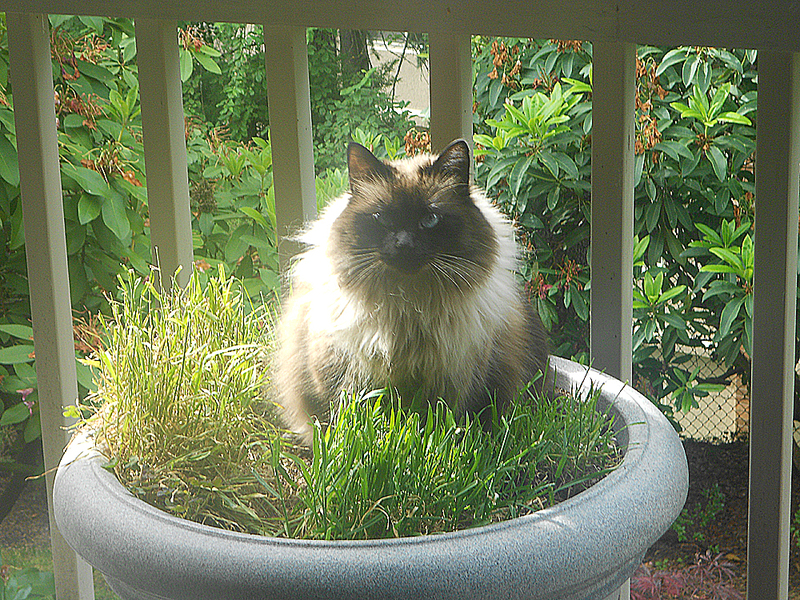 You can help by keeping your cat indoors, especially during the breeding season, March through July. If you hear a bird's distress call, go outside and have a look. Your presence may be a lifesaver to a vulnerable bird. Do you have a catio? Send a photo to info@birdnote.org, and we'll share it with fellow listeners! Adult robins sound this alarm when their young are threatened – like by a cat. When young birds first leave the nest, they’re especially vulnerable. For some, it takes a few days before they can fly high enough to be out of harm’s way. 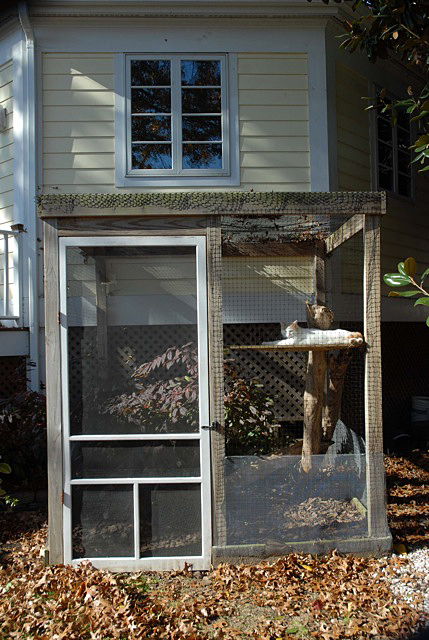 Not ready to keep your cat indoors year round? Well, we know the “fur can fly” on this issue, so how about May through July? That would be a big help to birds. And when you hear the distress call of a bird, go outside and have a look. Your presence may be a lifesaver. 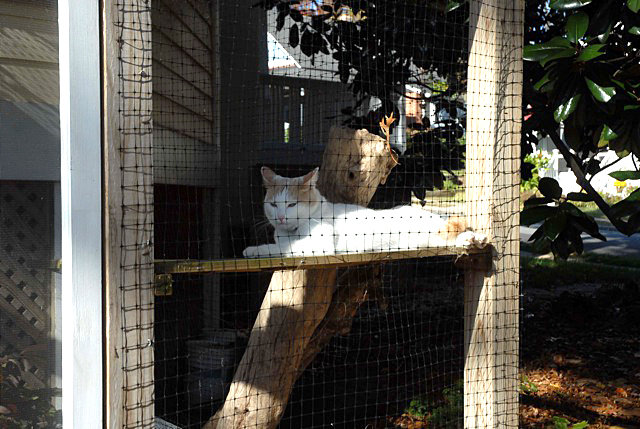 Hey, maybe you’re one step ahead – you’ve built a “catio” – an enclosed patio for a cat. Send us a picture and we’ll put it on line. A little imagination can go a long way to solving this huge problem. Audubon, American Bird Conservancy and others too, have great resources for cat owners ready to protect birds. Find links at birdnote.org. Bird sounds provided by The Macaulay Library of Natural Sounds at the Cornell Lab of Ornithology, Ithaca, New York. Alarm calls of American Robin recorded by R.S. Little. “Sparky” the cat by Kessler Productions. Ambient and Nigel purring recorded by C. Peterson. 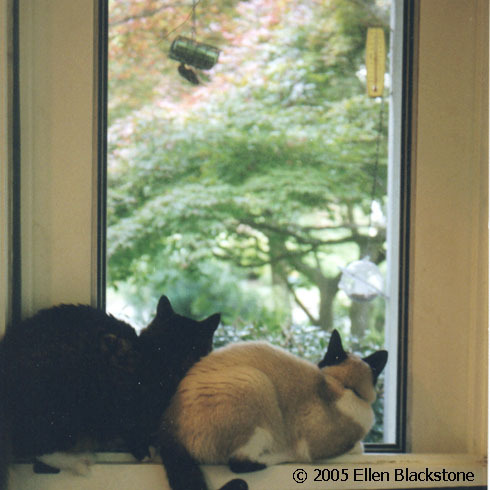 Does your outdoor cat catch birds? You may not know! Catios come in all sizes. Check these out! There's more from the New York Times about catios!